I gave away another quilt this morning. It’s going to a new home and I’m happy for it. I know it will be used well and appreciated. 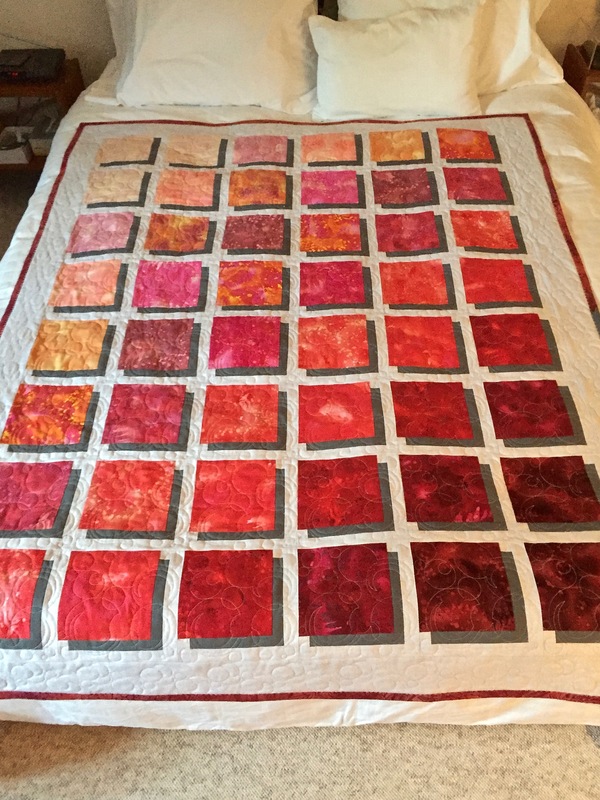 I need to draw up a list of friends who would appreciate receiving a quilt and give more away. I have three which I’ve put out to use myself and some of the rest in that closet need to move on. 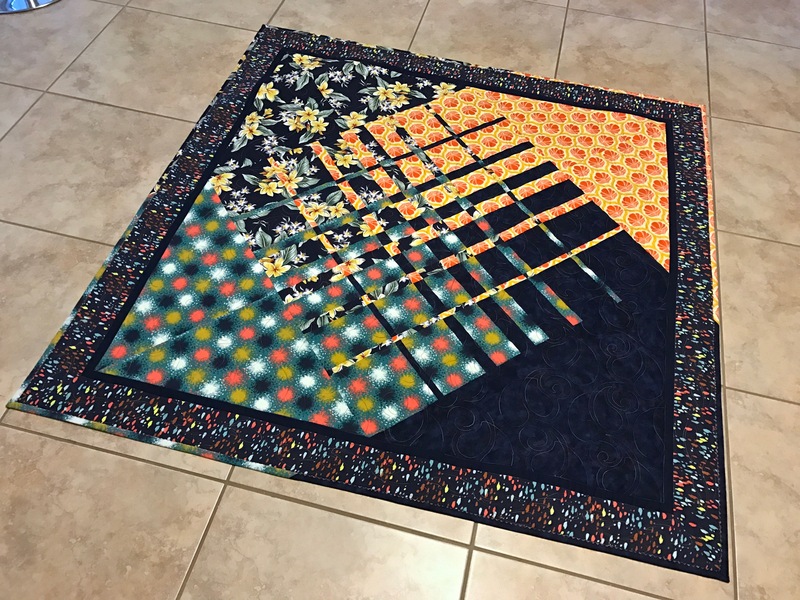 I’ve given away about half of the quilts I’ve produced since I began quilting 15 years ago. If I have them hanging around too long I grow attached to them and it becomes harder to send them on their way. 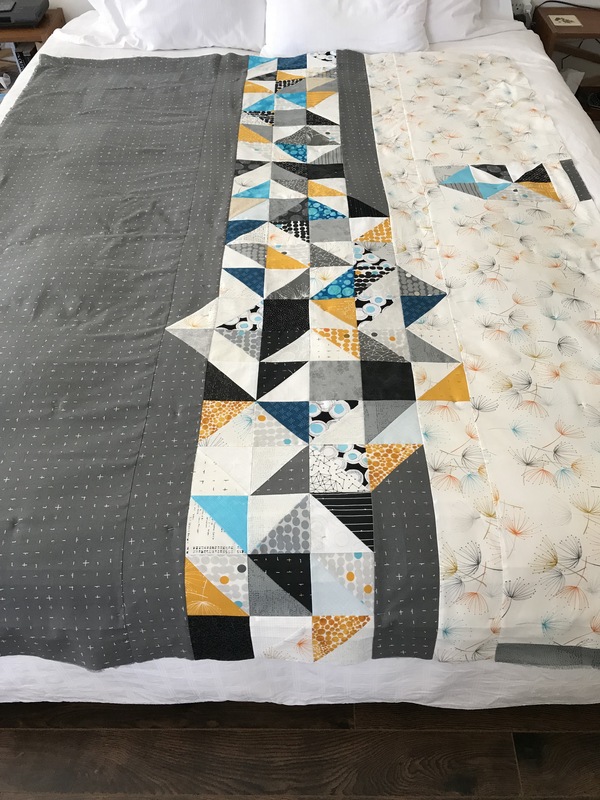 I like keeping particular ones on hand as examples for classes but I have photos of every quilt I have made (front and back) and, you know what, that will have to be enough. 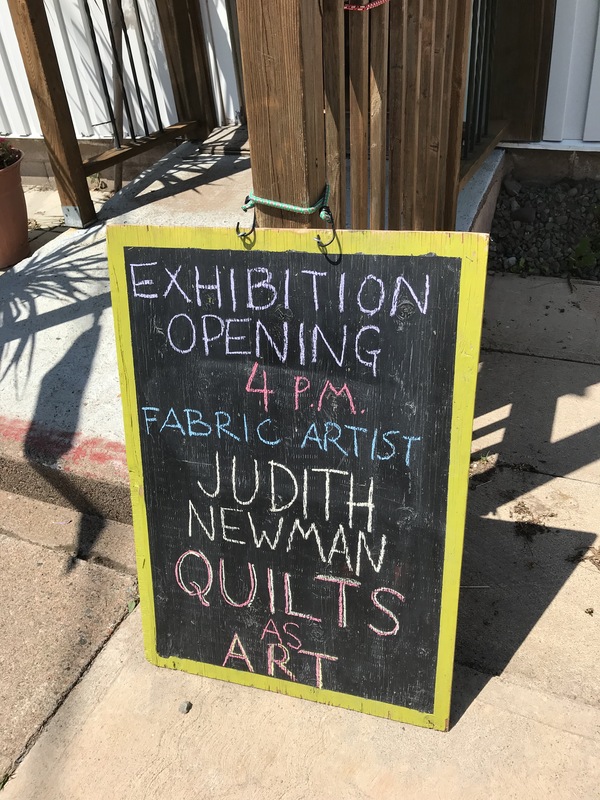 Last Saturday I travelled to Parrsboro for my 4th Annual exhibition of “Quilts As Art” show at the Art Labs Gallery. 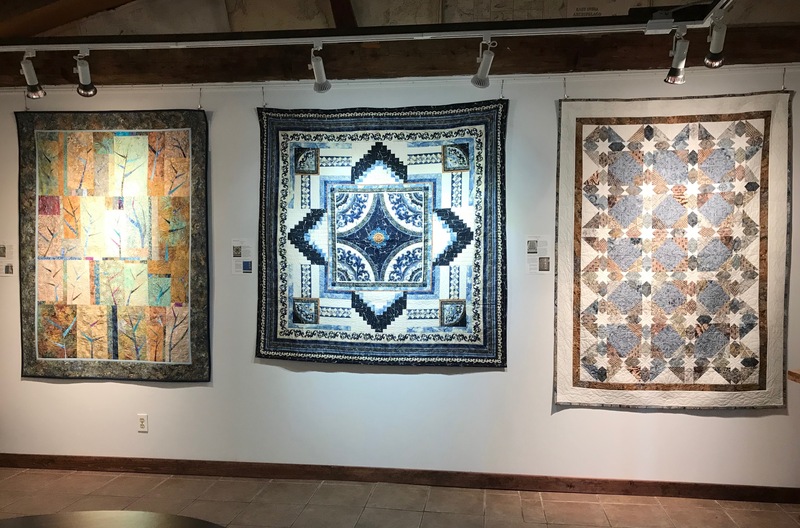 It took about an hour and a half to hang the 8 quilts and 11 smaller wall art pieces. That’s my complete production for 2017/2018 – new since last year’s showing. 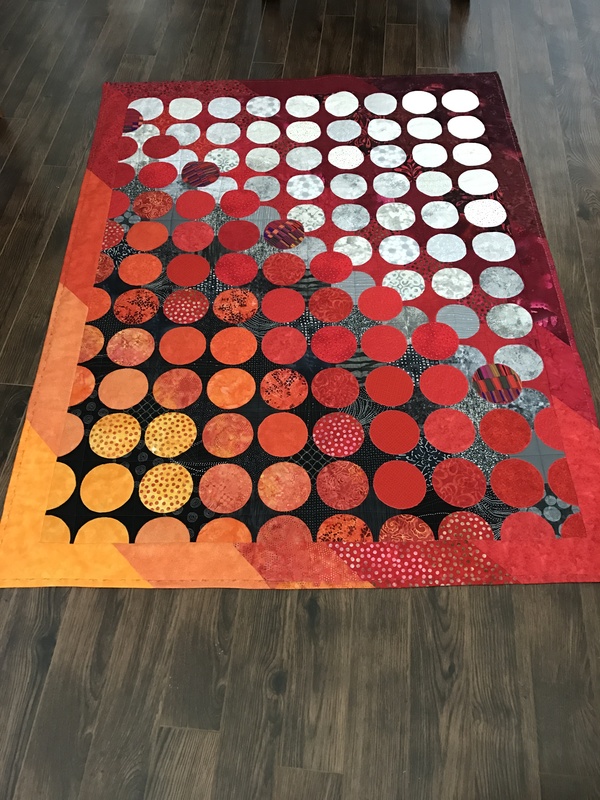 Hard to believe I manage to get so much sewing/quilting/machine embroidery done. That’s not everything I did make – there were a variety of garments: pants, jackets, tops that I constructed in that same time period – from end of August to mid-July of this year. There was an “Opening” later in the afternoon – a small attendance because the weather was so hot I’m guessing people in Parrsboro spent the day at the beach. Those who did come to see and talk about the textile art with me were interested and appreciative of my work. Always fun to see how people react to it. The show lasts for two more weeks until August 17. Then I’ll head back on the 18th to bring it all home. 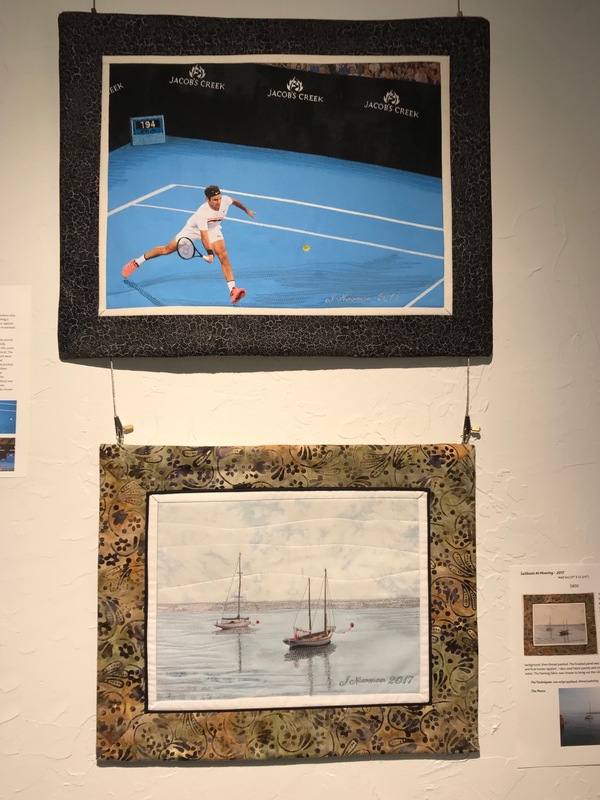 I think I’m going to hang Federer somewhere in my place, the rest will be put away in my “quilt” closet (which is getting full). I’ve already got work for next year under way. 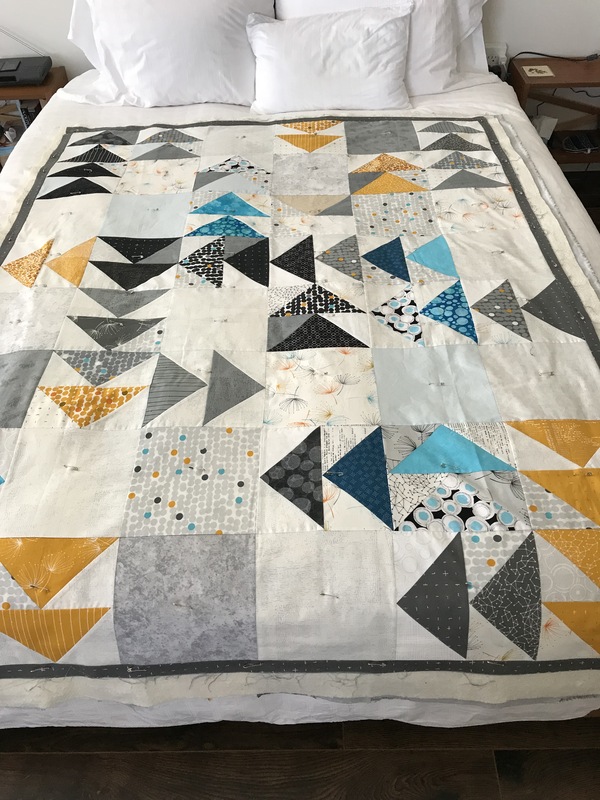 I pinned a new quilt this morning – ready to start quilting it. When that’s done I’ve got fabric for some summer pants (almost too late to bother making them this season). 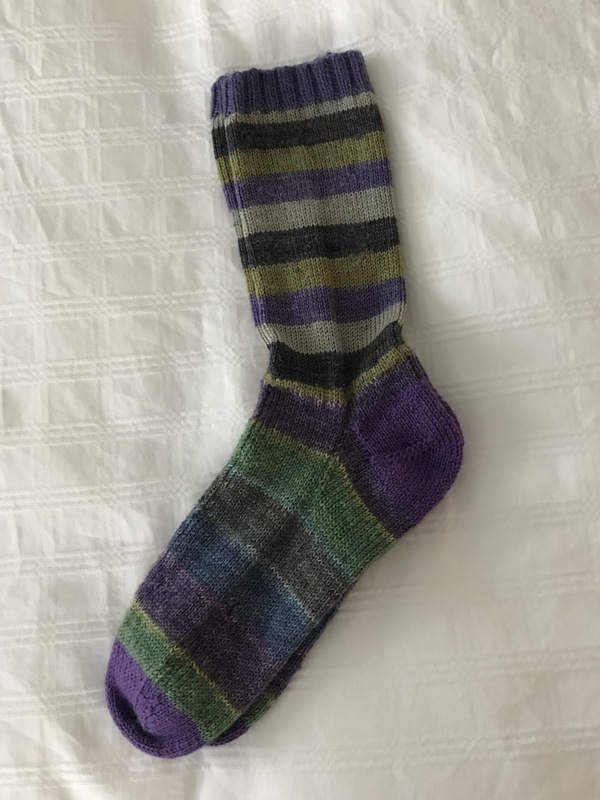 I’ll get those cut out and maybe one or two pairs stitched up.